Are you wondering how to write social media content that creates conversions? Do you want to create copy that people can’t wait to share? There is a knack to writing sales copy but to achieve that you’ll need to follow some basic steps. 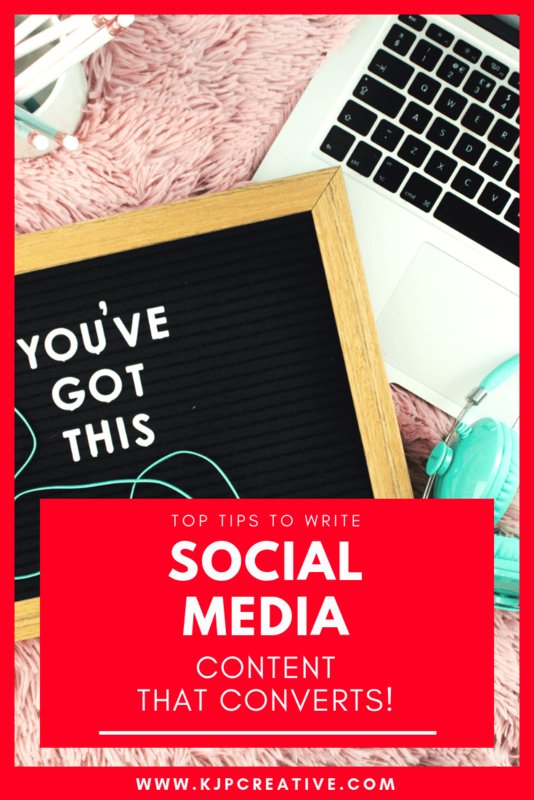 Your efforts in social media want to maximise the ROI for your posts and create content that speaks directly to your readers in order to see results. You are the voice behind your brand. Every business has their own tone of voice and their own way of communicating with their audiences. When users scroll through their social media feeds, they should be able to recognise your brand immediately. When you understand and know your audience, you can write your copy tailored to them. Know what tone of voice they like and respond to, grasp the words and call to actions that they engage with, and run with this throughout your content. Whilst writing a blog can be hundreds of words, a Twitter post cannot. Each post needs to reflect the platform that it is being posted on and content tweaked to reflect the audience that will be seeing the posts. Sometimes 5-10 words can say much more than a string of sentences that may make people switch off. There are different trains of thoughts on whether short copy or long copy is best but at the end of the day, if you test both, your audience will help you decide what works best for your business. Split test your posts and ads to try different methods. 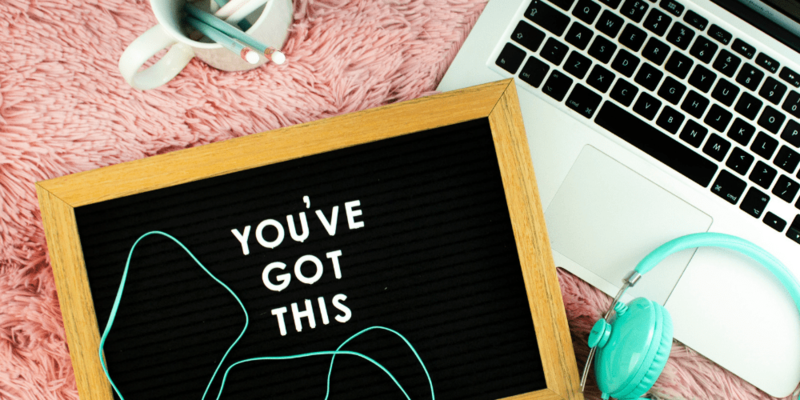 The most important thing is that you want your audience to respond and engage with your copy, so listening to them will give you the upper hand. Split testing can be expensive if you’re a smaller business with a small budget (and competing against larger organisation), but it’s still worth trying a few examples to see what works best – every business is different. No one can argue that great visuals convert but having great copy to go with visuals pushes you to another level. If your visuals are great but your grammar or spelling is awful, your business will look unprofessional and shoppers will pass you by. If you’re not great at the written word, ask someone to check over your copy. There’s absolutely no harm in doing this, in fact, we encourage it to ensure that ad copy is professional and correct. You wouldn’t send off a job application without checking for mistakes, so why send out social media content that is incorrect? If you create a social media calendar and schedule all posts in that calendar, another pair of eyes can look over that calendar prior to posts being created. A simple Excel spreadsheet is a cheap and easy way to achieve it. Also, an image shows what you’re talking about, but the copy or text will give the call to action and tells the user what to do next. This is an important part of the sales funnel. Create great content but don’t give a call to action and users will find somewhere else to go after they’ve finished with your content. You don’t want to come across too pushy in your content or posts. You’re there to offer value to your readers by giving them something they can take away and utilise. You can incorporate your sales into the way you speak. Remember to keep this within your tone of voice and branding, so that your readers who already know and love your style will listen. If you’ve already built up a relationship with your audience, they will be used to the way that you write, the way that you approach subjects, and the way that you come across when you have something to offer. They’re loyal customers because they like your style. Stick to that in all your copy, allow your personality to come through with whatever it is you are promoting. If your content is full of lots of CAPITAL letters and exclamation marks, you sound and look like you are shouting. Does this way of speaking portray your brand correctly? Is this how you would speak to someone you were talking to face to face? Be mindful of how you come across in your social media content, whether that be sales copy or everyday posts, your manner is important to your audience. Understand your audience. We say this in so many of our posts but that’s because it is so important. You wouldn’t speak to your family in a way they didn’t like or relate to. So why do it with your audience? And each audience is different. 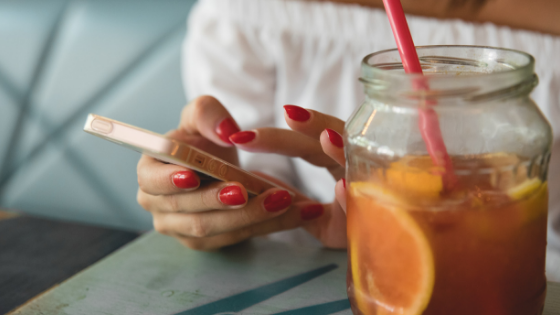 If you’re creating content for your Facebook followers, the tone of voice and relationships are going to be different to those you connect with on SnapChat for example. Just bear in mind who you’re trying to reach and create beautiful content that they will love. Research has shown that posts and content that trigger emotions have a higher reaction rate. Use headlines that outline positive outcomes or create curiosity and you will gain more traction than other posts. Being able to make a reader say WOW after they’ve read a post is a great achievement and will usually result in reactions or shares. Our emotions drive us to share with others, we want our friends to experience the same feelings as we do and by sharing content that heightens these emotions, we feel a sense of satisfaction and clarity and is a dominating factor when it comes to sharing social content. If you’ve not got a great headline, you won’t get the interaction you desire. People read a headline before they see the content below, so if your headline does not grab the attention of your reader at first glance, there will find more opportunity further down their news feed for something that will. Headlines are a vital part of your sales copy. You need to make an impression, you need to add value, you need to offer something they are interested in. Does your headline tell the reader why they should continue reading? Are they compelled to take action or to engage? Ask questions that will get their attention. If you’re not happy with the headline that you’ve come up with, try again, and again. It doesn’t matter how long it takes you to create the perfect headline, it matters what the headline says when it’s published and how it’s going to impact a reader. People are busy and the increasing use of mobile devices and wifi spots at every corner facilitate society being able to grab snippets of information and then move on. Waffle within your content will not sell. Truth and fact, to the point, will. Therefore, within your headline and content, you need to be precise and deliver what your audience wants to hear, not everything that surrounds it and engaging them in a journey that will allow them to learn more about you and your business and to discover what they can get from you or your content. Readers love a great story and will engage better with a story that is worth something than a post that’s created just to fill a gap for that day’s content. But stories don’t have to be long and boring, they can be mixed up with video and images, they can be portrayed by keywords rather than sentences. Remember you are trying to dig into emotions and your story doesn’t have to be a stand-alone piece of content, you can make stories into so much more by creating regular content, content blocks and using your imagination to interact with your audience. There are many ways to create the perfect social media content for your business and the above are just a few to consider. Always use your analytics tools to steer you in the right direction and to know your audience better. Understanding your audience is key to engagement and conversions on social media. By utilising analytical tools, you can see what works and what doesn’t, saving time, money and resource. Get your copy correct and you’re flying! Great content and social media is our thing here at KJP Creative – if you’d like help putting together content that will convert for your business, get in touch and let’s see your social media energised.